Most media outlets over the past year have been reporting that the average real estate commission fee in the US has been dropping to around 5.2%. What is the cause of this drop and what effect is it likely to have on consumers and the real estate industry at large. For years I have been told there is no collusion in the real estate industry and all home selling commissions are negotiable. The real estate industry has done a pretty good job at protecting the bottom line without blatant collusion because there was just no other game in town. It goes without saying; the internet has changed the economics of many a service business. The web as it relates to real estate has given rise to innovation geared towards offering better service at lower costs. There have been some successes and many failures. In my opinion, the internet has failed to decimate the real estate industry the way it did stock trading for two reasons. First, selling a home is a big deal, and most people only do it on average every 8 to 10 years, so it is essential to get it right. Second, there are so many rules and intricacies to selling a property that is different from location to location. So real estate is still a location and knowledge-based business that is best handled by a thinking human and not a computer algorithm. 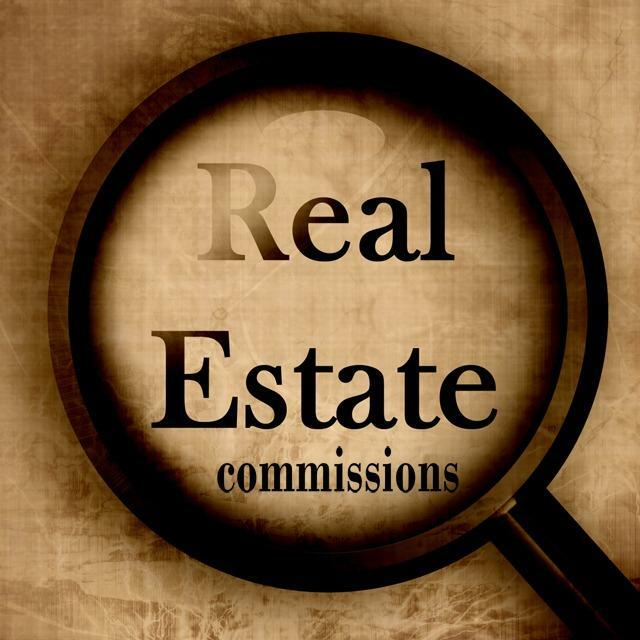 But even the human factor can not completely slow the real estate commission fee erosion. Some real estate companies have attempted to blend technology and the human element to reduce cost and still provide a traditional feel. These companies look to lower their business costs through the use of technology and pass it along to the consumer. At this time, they are only having limited success in large dollar markets. While the average real estate commission fee has been slowly declining, other real estate fees might creep up. There may be additional fees known as service fees charged by agents and brokerages. I have written a separate article relating to the transaction fee, consultation fee, and broker service fee in a separate piece you can read on my website. It is possible that these charges will start to elevate if the real estate commission fee continues to diminish. Minimum commission is another way to bolster the bottom line. If you have a home you want to sell that is worth $50,000, and the commission rate is 5% the total cost would be $2,500. If the brokerage has a minimum commission of $4,000 that is what you may be charged to sell that home. Home sellers interview real estate agents to nd out who is most knowledgeable, who they like the best, and who will get the job done. Many of these sellers realize you get what you pay for, and that technology may be the future, but they want to sell now. I understand the economics that affects the Reading and Berks County real estate market. Low home inventory has caused some real estate companies and their agents to become more aggressive and price competitive. Fewer listings mean less business. That is why over a year ago, I decided to reduce the commission I charge seller clients to 4.9% and not charge a service fee. I indeed use all the latest real estate selling technology but also o er a full array of traditional services as well. With my program, I can get the job done for my clients at a reasonable and fair price. Real Estate Speak - What Defines a Bedroom?